The Black Avar Clinic was set up in Ballyclough, Co. Limerick in 2000 and has been serving the people of Limerick for over 14 years now. Previous to this, Teresa practiced for 10 years in Limerick City. With over 24 years of experience in Acupuncture and Shiatsu, Teresa's knowledge and skill has helped many clients improve their health and quality of life. If you have health concerns or if you feel you need a different approach to these concerns, please explore this website and contact Teresa if you would like more information or to book an appointment. Acupuncture originated in China over five thousand years ago. It is practiced worldwide to both treat and prevent many conditions. 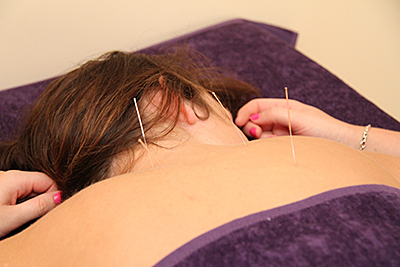 Acupuncture is a therapy where fine needles are inserted into specific points on the body called acupoints. The needles are sterile, stainless steel and disposable. A person’s health is influenced by the flow of Chi in the body. When imbalances occur, illness may result. Shiatsu is a treatment that originated Japan over 3000 years ago. It uses pressure applied by thumbs and palms to the energy channels and acupuncture points on the body. Other techniques include gentle stretching, rotation and rocking moves.